Jared Tetzlaff first became a fan of off-road racing when he attended the 1989 SCORE Parker 400. Growing up in Parker, Arizona, afforded him the opportunity to live in the same town as such off-road greats as Manny Esquerra & Dan Beaver. Weeks before SCORE, Jared's own neighborhood would bustle with other greats like Robby Gordon, Jimmy Smith and the Simon Brothers - which gave him a chance to mix with them as well. The highlight of his early years though was harnessing up with Bob Gordon to pre-run the famous Osborn Wash/Jeep Trail in the Gordon Feed Company car. Like many would be, Jared became hooked on racing at a very early age. A move to Phoenix in the mid-nineties allowed Jared to attend college and establish a career. He also gained valuable experience in non-profit administration, fund raising, and public speaking. But during this time, he was forced to follow the sport through the computer, magazines and television which could not satisfy the off-road racing bug still inside of him. Eventually, Jared found himself back in Parker attending the 2007 BITD Parker 425. Not content as a spectator, Jared quickly began chasing/pitting for such teams as PMC Racing, Dailey Motorsports, and Camburg Racing. Participating in the SNORE Make-a-Wish Ride as well as talking with friends on Race-Dezert.com started Jared thinking about how he could deepen his own involvement and begin to give back to the off-road community. In 2009, dreams became reality for Jared when he was given the opportunity to co-ride in his hometown race, the Parker 425, as well as the Mint 400. He also has had opportunity to provide photography & pit support to PMC Racing, Dailey Motorsports, Geer Racing, and the Desert Assassins - all of which are counted as tremendous blessings. Now, Jared believes he has been given an even greater opportunity for involvement to serve as the founding President of FAST-Aid. He is excited to be part of an awesome group of people who will make FAST-Aid an awesome organization available to help racers and crew-members who need help themselves. Jared currently spends his time traveling to races to promote Fast-Aid and WRP - Woodward Race Products and is the proud father to his little girl Samantha. Lucas has been around off road racing his whole life; He had no choice being the grandson of Walt Lott, the off-road racing promoter with SNORE, WRA, and HDRA. Lucas has not strayed away from the sport as he has helped with both the SNORE and PRO1600 series. In addition to running his own race team and winning some races of his own, Lucas has been involved with numerous other winning teams over the years helping to prep, maintain, and drive cars. Lucas loves the logistics of the sport and uses his experience gained being around some of racing’s best to figure out how to get that little edge on the competition. Currently, Lucas has several irons in the racing fire. Not only is he managing his own race team, but he also currently works as the crew chief for Dailey Motorsports and helps with pit support for Lone Kid Racing, Geer Racing, The Desert Assassins and Woodward Motorsports. When Lucas heard about the inception of FAST-AID, he knew he had to be involved in starting this organization that would provide a service that has been needed for many years to the sport he loves. Lucas’ many years as part of the off-road family solidified his enthusiasm for helping drivers and teams with medical assistance and education. Lucas’ love for the sport and the desert has led him to be involved in various charities to work to keep the desert open and keep the desert clean over the years. Lucas is also quite the off-road racing history buff and holds a large collection of vintage off road memorabilia, including vintage race film he has been working to compile for a vintage off-road racing film. 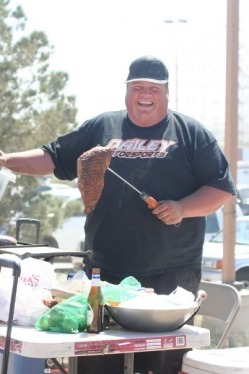 It’s also well known that if you are at the races and smell BBQ, you are likely to find Lucas smiling and cracking jokes from behind the grill as he prepares food for whatever team he is there to help that weekend. Lucas is a lifelong Las Vegas resident, and is a third generation Master Glaizer who has been Local Union 2001 for the last 16 years. Lucas also looks forward to meeting the people that would like to be involved in helping FAST-AID grow and help racers well into the future. 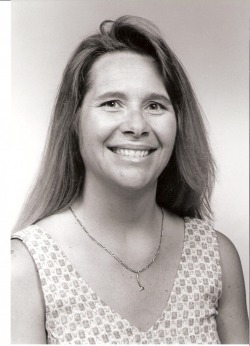 Kim Carpenter has been involved in off-roading for as long as she can remember. As a child she spent several weekends a month riding motorcycles and dune buggies with her family. Growing up she learned the importance of becoming self sufficient and independent. She also learned that compassion and helping others are important qualities in life. Kim is married to Ken Carpenter and the mother of 3, Kane 20, Kori 18 and Kasey 13. Kane is the racer of the family now. Racing since he was 8 on a y-zinger Kane has raced in the SCORE Baja 500, 1000, BITD series and District 37 since he was 12. Kim laughingly says, “If it goes fast and has wheels then she is there no matter where there might be”. Kim is at every race supporting her son, whether it’s on the start line, in the pits or running the Command Post for Rescue 3, Inc. a volunteer, non-profit search and rescue / medical team that supports District 37 racing activities. In addition to Rescue 3 Inc., Kim is also a volunteer with Motor Sports Medical, National Sand Drags Association, District 37, 9-11 Help America Foundation and United Warrior Survivors Foundation. Kim has been organizing fundraisers for as long as she can remember. In fact, she doesn’t remember her first one. She just knows that she has a passion for people, especially those in need such as our Soldiers, Sailors, Airmen and Marines and their families. She also sees a need to help injured off-road racers who need the financial, emotional and professional assistance that she has been able to obtain over the years. Kim is not afraid to ask for anything or talk to anyone. In fact she joyously boasts of the fact that she was kicked out of kindergarten for being a “Chatty Cathy;” a name that still fits today. She is honored to have been asked to be part of FAST-Aid . She is able to combine her passion for people and off-roading. While she never wants to see anyone injured, she is confident that with the combined talents of the individuals within FAST-Aid, those who are injured will be assisted with their recovery and rehabilitation. In July 2007 Dan was involved in a terrible roll-over accident towing his boat after enjoying a weekend at the lake. He was forced out of his lane by another vehicle and his truck and trailer jackknifed eventually causing him to roll over three times on concrete at freeway speed. Had he and his passenger not been wearing their seat belts this accident surely would have been fatal. "A wreck like that changes your life. There are so many things I never got around to doing and had it not been for my seat belt, I wouldn't be alive to go do those things now." While he was in the emergency room having his injuries tended to, Dan made the decision to stop being a spectator and start racing. 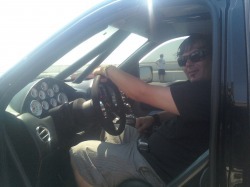 Since then, Dan has come along way and currently he pit crews for a couple of off road teams, a drag car team and, 17 months after his accident, he finally got behind the wheel and began racing himself and continues to do so. "Safety is something that is always on my mind. I really don't think most people know how difficult it is to come back after a bad crash. It has been over 2 years since my wreck and I still feel the repercussions from that day. I have muscle damage from my seat belt and my back will never be the same. I know I am lucky to be alive and am thankful of all the emergency personnel, doctors, nurses, and technicians who have helped me through my ongoing recovery. Being a part of FAST-Aid is my way of 'paying it forward' and helping people who have something unfortunate happen to them while racing has a direct link to my heart."